Have we got a treat for all you lovelies today!! 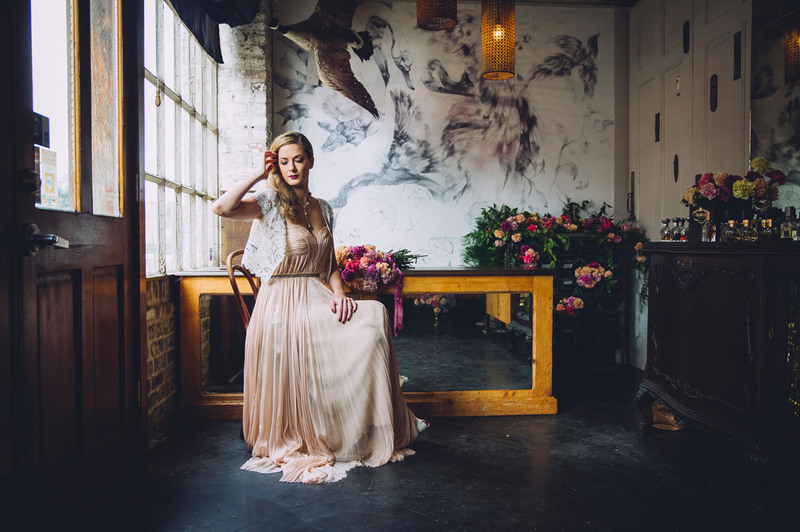 We’re delighted to announce a little mini-series that Destiny of Poppy + Mint Floral Company put together for 2017… Each month we’ll be featuring a shoot that she designed + styled around that month’s flower! Much like a birth stone, each month has a birth flower. Cool, right?! 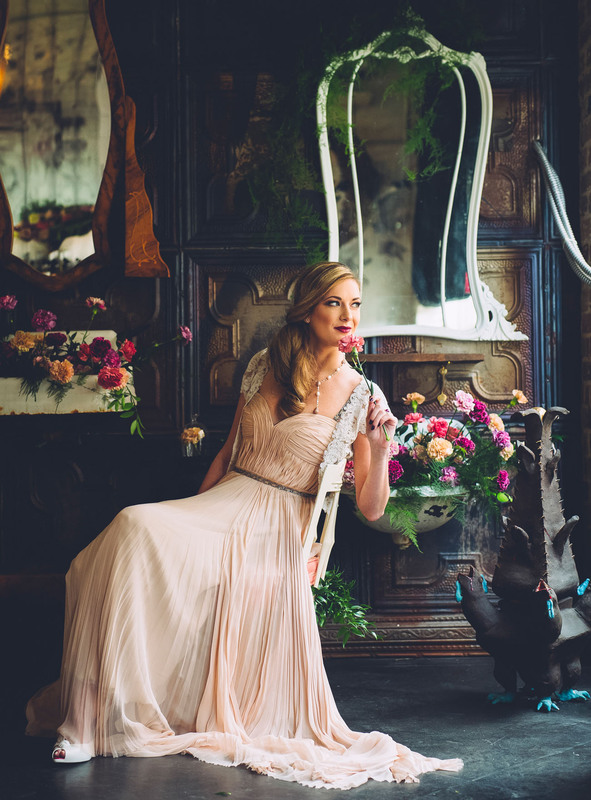 Destiny tells us As a florist, I have always been enamored with the history behind the birth flowers. I was having coffee with a dear friend and she (so cleverly) served me a drink in her set of vintage glasses, each one featuring a different flower for each month. 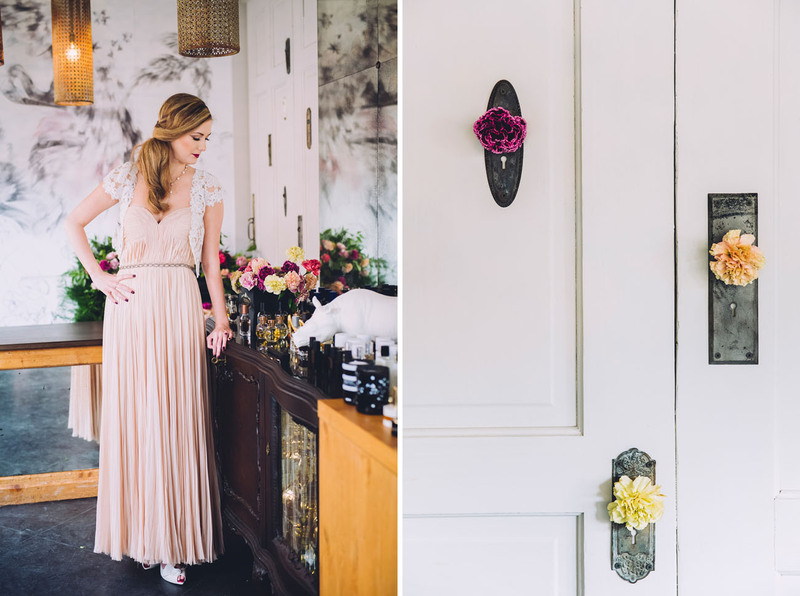 It was then that I decided to start a new venture — styling individual photo shoots for each month’s birth flower. 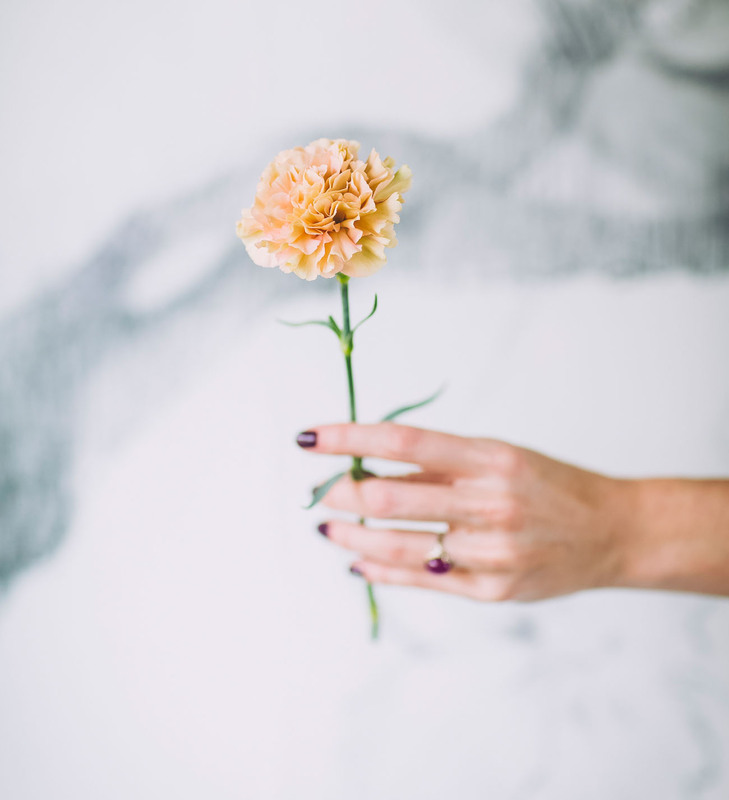 The carnation is the official flower of January, so carnation enthusiasts everywhere can rejoice! 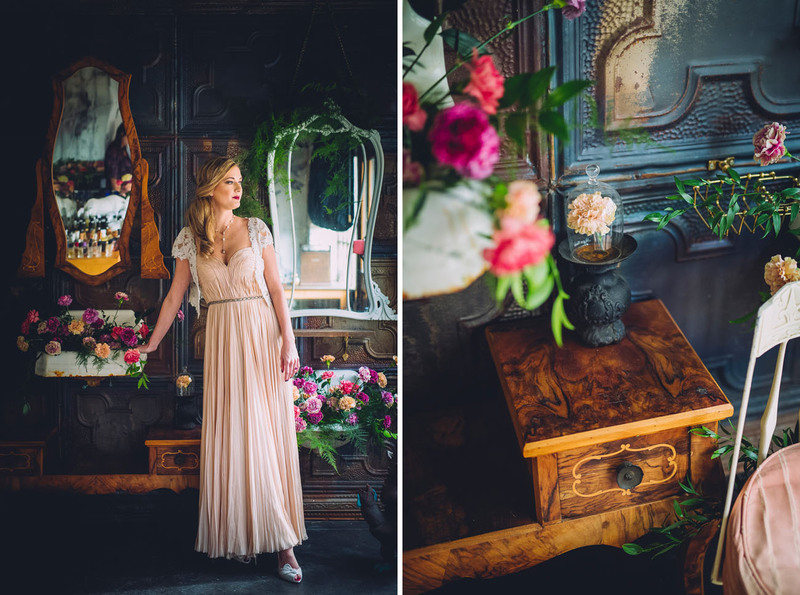 – and if you think you aren’t a carnation fan, perhaps this shoot will change your mind! :) Curious to know a little about its history? We were too! 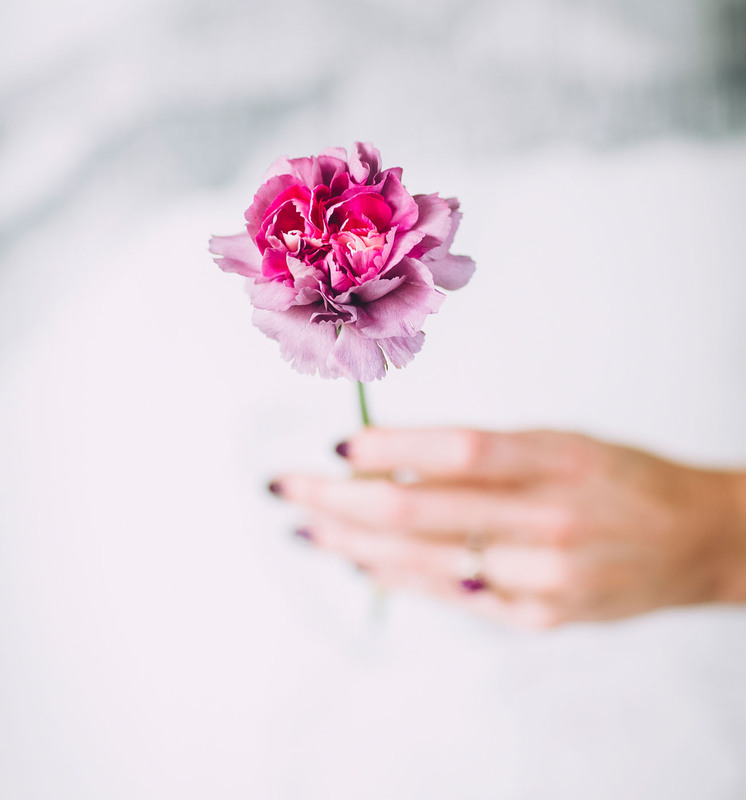 The ancient Greeks believed the carnation was one of the most incredible flowers, and named the genus Dianthus, which means “heavenly flower” or “flower of the gods”. 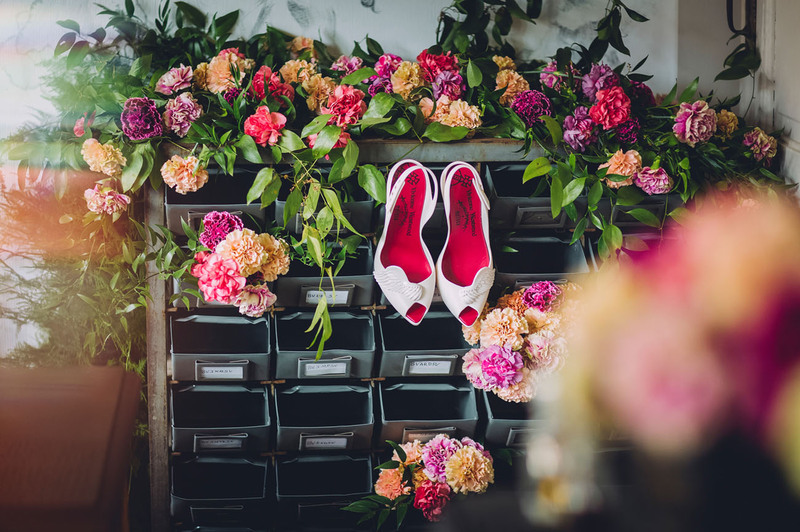 In the Victorian times, Floriography, which is the language + meaning of flowers, flourished and became the most commonly accepted way to express emotions. 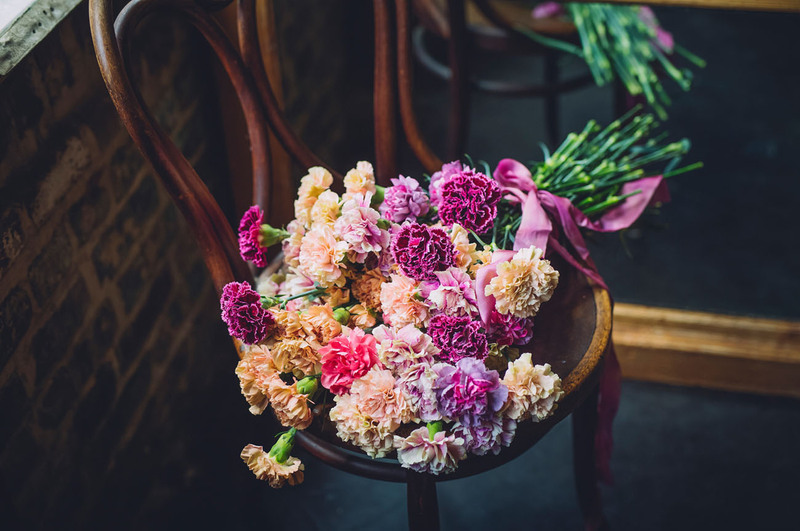 The varying shades of red carnations could convey just how smitten one was or was not with their muse… This was also a time when perfumeries in France were starting to grow in popularity (more on that below! ), and the essence of carnations, along with other flower essences began to gain traction in olfactory fashion. By the 1930s, carnation essence had become highly prized + priced, and today is still reserved for only the highest quality perfumes. 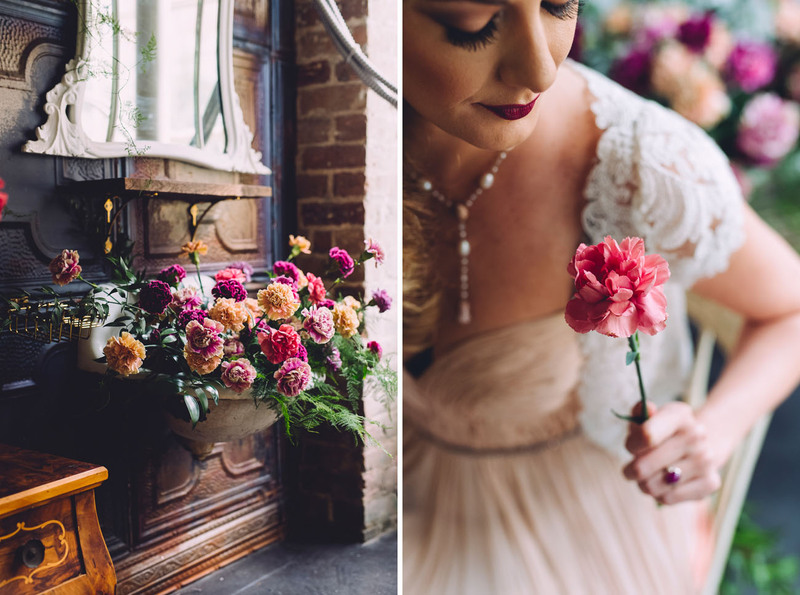 Let’s bring on the carnations + see all the gorgeous shots by Sonia Savio Photography!! 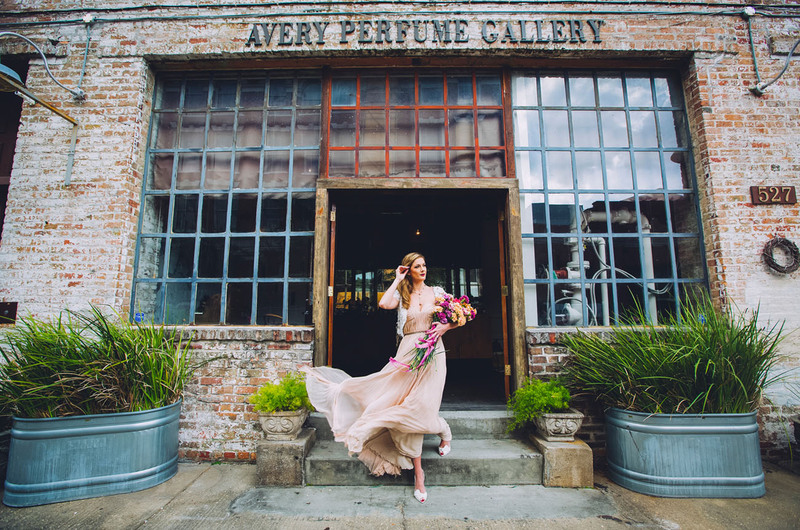 Destiny says New Orleans’ Avery Perfume Company provided the perfect backdrop for the first shoot. Perfume bottles in every shape and color, vintage sinks, tin walls, gold metal light fixtures and made this space just ideal! Those show-stopping shoes are from Melissa. 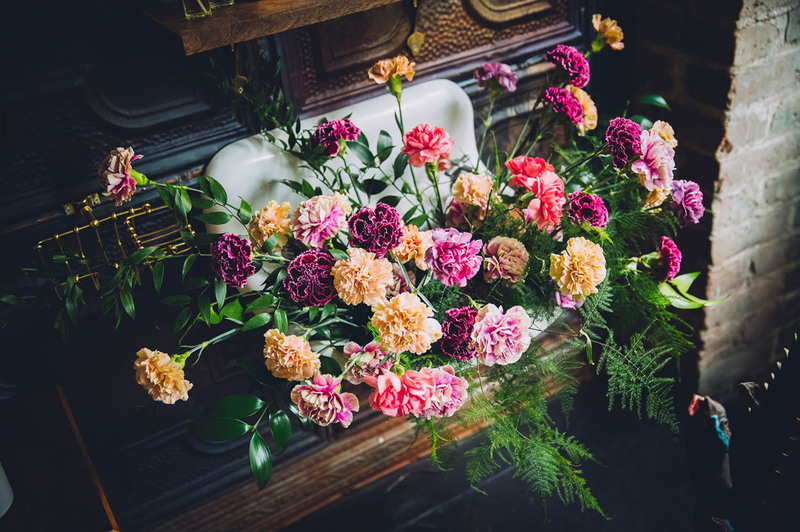 Destiny shares more about Victorian Floriography: Deep red carnations put a merciful end to the bashful stuttering of, “I feel quite ardently,” while pink carnations allowed one to say, “I feel less ardently”. 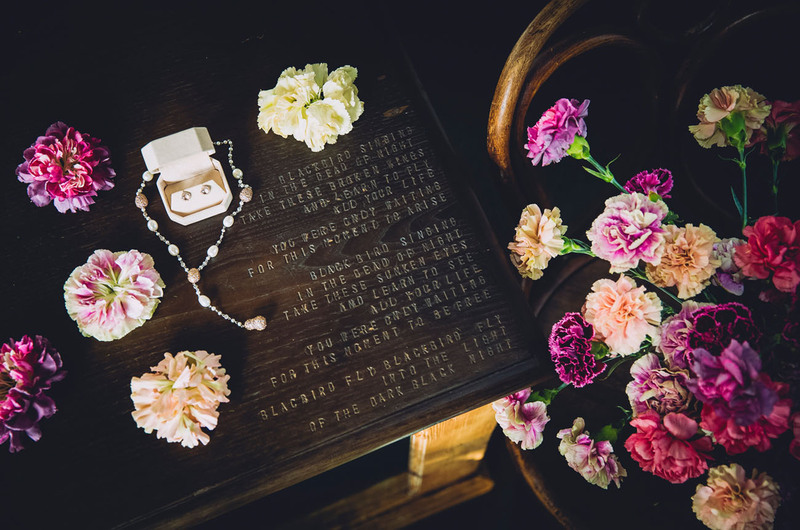 A message in flowers was loud and clear… and fragrant. Fun Fact: Perfume truly grew in popularity when Louis XV took the throne in the 18th century; his court was nicknamed la cour parfumée, or the perfumed court, due to the generous amounts of perfume + fragrance used. Since perfume substituted for soap and water at the time, its use increased exponentially. The aromatic plants in the South of France were used as raw materials and that’s where today’s association with the South of France being the world’s capital of perfume stems from! Additionally, because perfume was used so heavily by the royal court, it became an accessory signifying class + exceptional personal taste — making it the thing everyone wanted to have and super en vogue. Did you know that the smell of a carnation is on the musky side of cinnamon spice? Very appropriate for the cold month of January!! 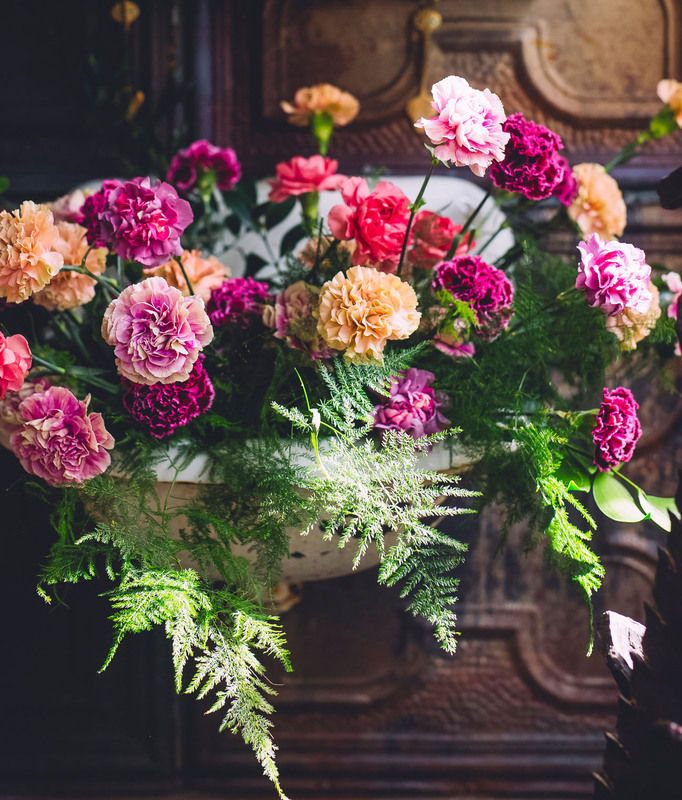 These ruffled flowers are actually a perennial herb, so they bloom their hearts out year-round. 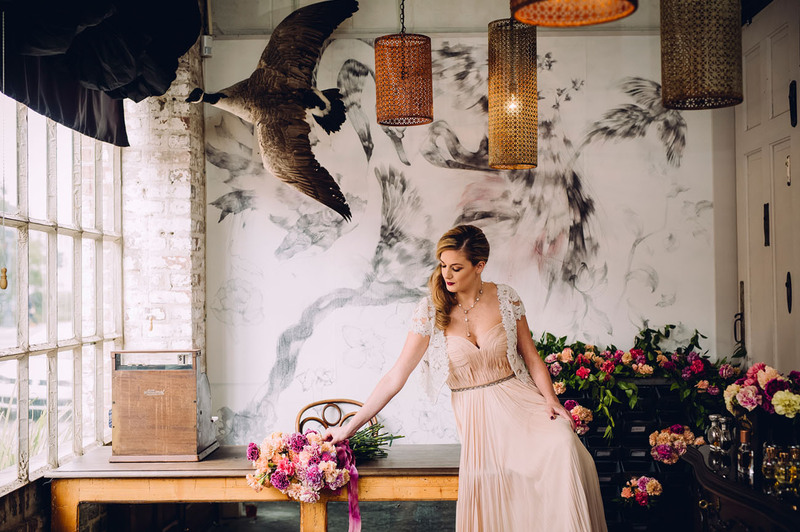 That stunning gown is from Shop Gossamer; with hair + makeup by Bleu A Blow-dry Bar. 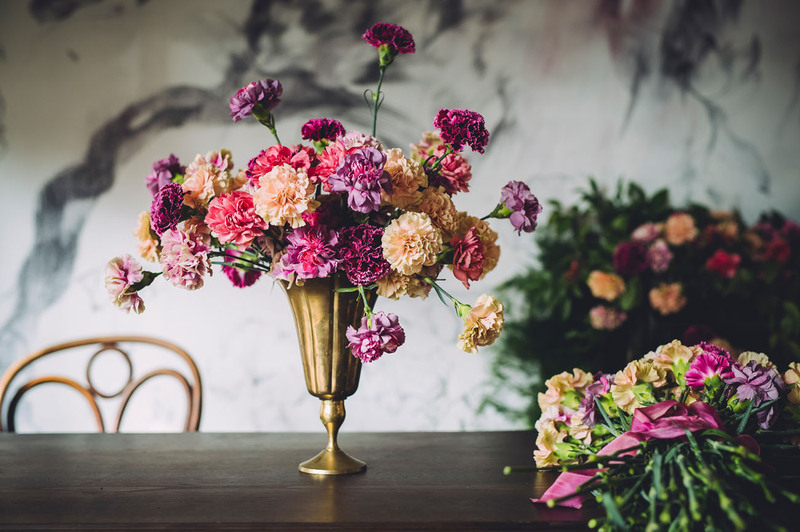 With an array of available colors and imbued with the overall sentiment of love, admiration + intrigue, the carnation is truly a flower for all seasons — not just for January! 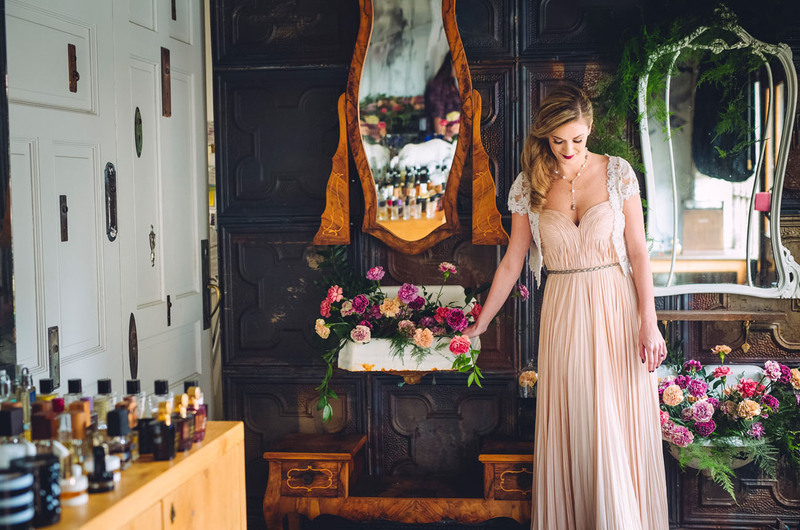 A huge thank you to Destiny of Poppy + Mint Floral Company and the rest of the team for putting together such a dreamy shoot! We can’t wait for next month’s edition!! This was a big surprise for me! It is snowing outside and this flower insight is amazing! I love flowers! Thanks so much, Annette! I just saw this comment and it warms my heart that this shoot had an impact on you. Hopefully your springtime is filled with sunshine and flowers! If you’re looking color, this is everything!! !